Recently, nationwide protests against president-elect Trump demonstrate that there are a lot of unhappy people in our country. This level of frustration was inevitable, no matter who won, since the campaigns were so hotly contested. When you add in the fact that the winner of the popular vote will not be the next president, it is understandable why so many folks are upset. Professionally, I have received calls from clients who were distraught by the election results. It is important to note that one does not have to have a psychological disorder to be disturbed by an election’s outcome. What many are going through is an instance of political grieving, i.e. a normal psychological response to loss and frustrated expectations. Grief often involves painful and contradictory emotions and thoughts such as obsessing about the loss or unrealistically denying it altogether. At other times there is great sadness and despair as well as confusion and fierce anger. We understand grief when it is connected with an unexpected or unwanted loss as in death or divorce but there are other kinds of grief experiences as well. Recently, Cleveland Indian fans went through a difficult loss in the World Series and at some level experienced grief. When our political candidate loses, however the loss is more serious. 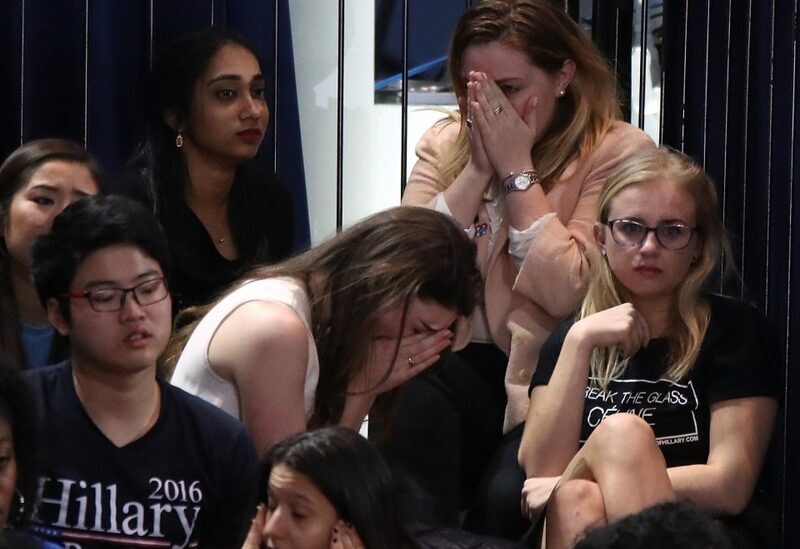 Psychologically, we experience pain when our team or candidate loses because we identify with them. They symbolically represent something important about us. When they win, we win. When they lose, we lose and we lose a part of our self-identity. The key to working through grief and to feeling better is a two-fold process of first dis-identifying from the lost part of yourself and then re-identifying with and appreciating other positive parts of yourself, your life and your reality which have been overlooked. In other words, it is a process of realizing that that there are other important parts to your life besides the part that you lost. Here are some tips to keep in mind if you’re feeling stuck. 1. Remember, there is much more to you and your life than what was lost in your recent disappointment. The temporary depression which accompanies grief has a way of narrowing your perspective to the point that you can lose touch with or forget to appreciate some of the other blessings in your life. 2. The pain of loss is temporary. Political identification cuts a little deeper than sports loyalties and is more substantive, but the pain will go away. In this past election, where the differences between the two candidates were so extreme, it is understandable why the loss feels so bad. This horrible place doesn’t last forever. 3. It is important to express your feelings and not hold them in. Talking with trusted friends or writing in a confidential journal are good ways to process upset feelings no matter what they are. 4. Don’t worry about being “negative or having angry thoughts. They are normal and will pass. 5. Don’t be in a rush to be positive. You may hear from friends that being negative will make you bitter or that you must quickly forgive and forget. Nonsense! Your process is uniquely yours and is influenced by your prior experience with loss and disappointment. 6. Think about losses you have had in the past and how you dealt with them. What worked. What didn’t. Sometimes the unresolved or unhealed pain from the past can intensify the pain you feel in the present. Being able to distinguish past from present can help relieve the intensity of your grief. 7. Limit your exposure to the media concerning distressful stories and reports. If you feel like avoiding the news for a while, that is OK. If you begin to feel upset while listening to a program, turn it off and do something which is relaxing. You don’t have to totally avoid the media but just like a radiologist, it is important to self-monitor your exposure. Whether in conversations or watching TV or being online, if you pay attention to your body and listen to your emotions, you will know when you have had enough and need to take a break. 8. Realize that life is an ongoing process of change and change, even positive change is anxiety producing. It is important to understand that change can also bring new and unexpected surprises which lead to personal growth and fulfillment. 9. Finally, if your upset symptoms persist and impair your life, it is good to seek help from your doctor or therapist.